A perfect set for a baby's first mouthfuls. Hand crafted from organic bamboo. A lovely little set perfect for a baby's first mouthfuls. Beautifully shaped for easy grip, they look as good framed on the wall as they do in the babys bowl! A great new baby present. Hand crafted by Bambu, sustainable, organic and fairly traded. A new, chunkier shape. Great for baby lead weaning. 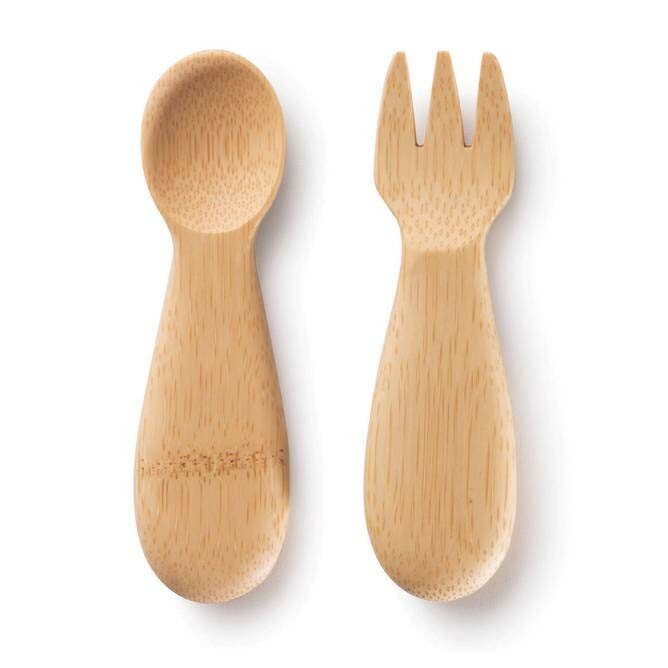 Each utensil is hand shaped from a single piece of USDA certified organic bamboo and finished with a certified organic food-safe oil, without the use of any glues or lacquers. Bamboo is more durable than wood and is heat & stain resistant. Hand wash with warm soapy water and rinse thoroughly. Not recommended for dishwasher or prolonged soaking. Not recommended for microwave. Recommended for 12 months onwards, or for baby lead weaning from 6 months. 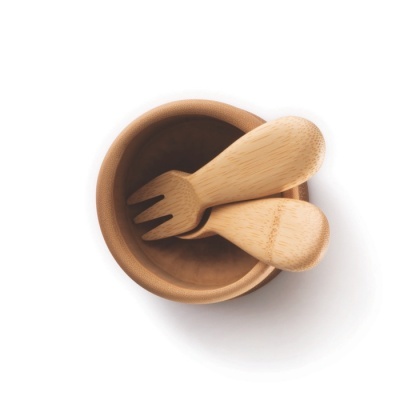 This set includes an organic bamboo fork & Spoon. Bamboo bowls can be purchased here.